Isaac Dunham was the first keeper of the lighthouse at Pemaquid Point, Maine, near Bristol in Lincoln County. After many catastrophic shipwrecks at that place, an act of May 18, 1826 provided $4,000 for the construction of the lighthouse. The lighthouse went into service on November 29, 1827 with Isaac, my first cousin five times removed, appointed as the keeper at a salary of $350 per year. Isaac was familiar with the nautical lifestyle; he had served as a privateer in the War of 1812 on the ship of his father, Captain Cornelius Dunham (1748-1835), my 4th great-granduncle and brother to James Dunham (1758-1829), my 4th great grandfather, who served in the Revolutionary war. Isaac’s mother was Lydia Atwood (1753-1841). 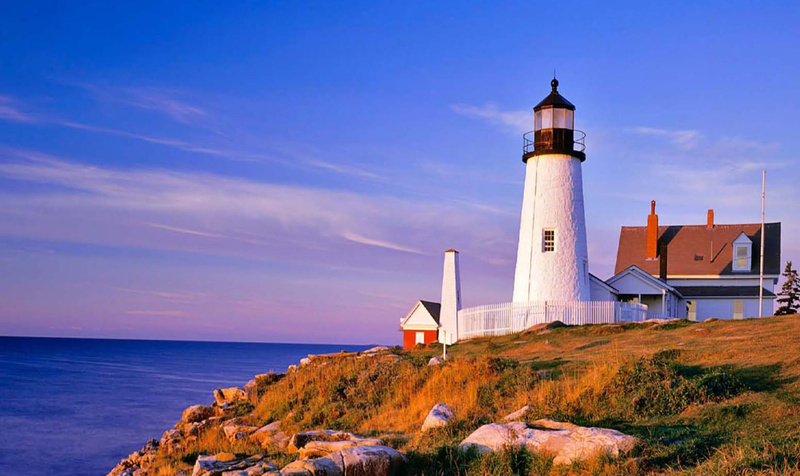 Pemaquid Point was kept lighted by an innovation of Isaac’s — a patented method to keep lamp oil from congealing in the cold Maine winters. 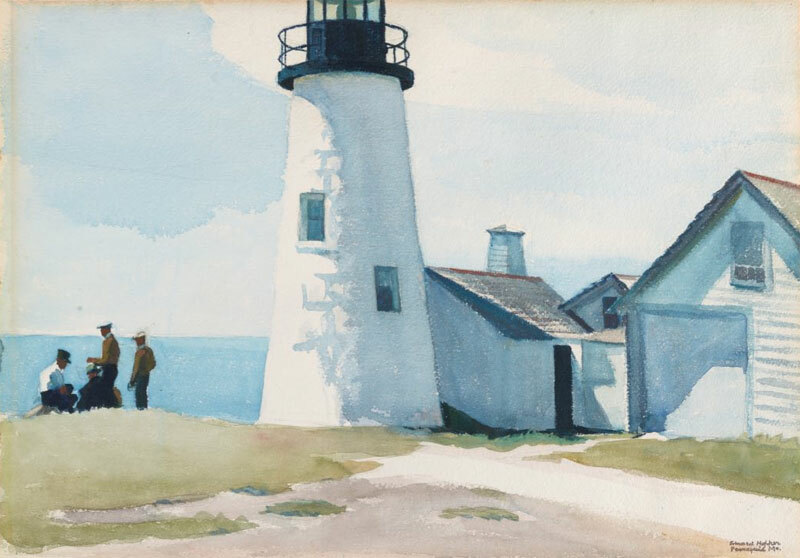 The acclaimed American artist Edward Hopper painted a watercolor of the Pemaquid lighthouse in the summer of 1929 on a Maine trip with his wife, Jo. The lighthouse was restored in 2007-2010 and today some 100,000 people visit it annually. 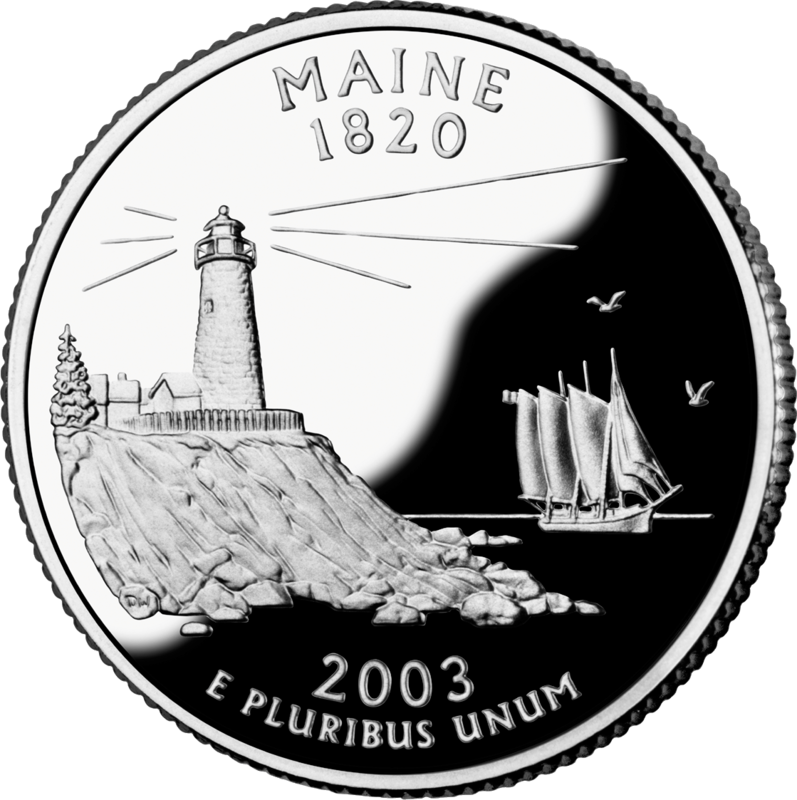 It is the obverse image representing Maine in the State Quarters series and is a default wallpaper on Windows 7 and 8. Hi Eric: I want to say how much that I enjoy reading everything you post. I am a Dunham and have been researching them for a long time. Your “stuff” is so interesting and informative. Years ago when I first started genealogy, I was very excited to find what I thought was my pedigree because I found James Dunham’s parents as Francis Dunham and Ann Bentley and there it stopped. Of coarse that proved not to be the case but those names have haunted me since then. Have you heard of them and do you have any info on them as to how they fit in the family. They were from (New) Wheathampstead, England and had a son James born in 1788. There was also a Frances Needham Dunham connected in there as well. I believe she had a child while living with her parents and her ? (husband or boyfriend) went off to war. Maybe her maiden name was Needham and Married name was Dunham but I seem to remember that the baby was Francis. I did find today that Francis’s fathers name was Richard and mothers name was Elizabeth Hubbald. Anyway when I see your name associated with any information I take it as fact. Keep posting. I love reading it. I love to visit Pemaquid Point. Thank you, I enjoyed reading this. Eric, please tell me who your 3rd great grandfather would be. I am tracing our Dunham tree and struggling to make a connection between James Dunham born 1758 and a son, Samuel Dunham born @1792. Any insight will be appreciated! James Dunham, (1758-1829), and Elizabeth Robbins (1758-1820) of Carmel, Maine are my 4th great grandparents (an assumption being worked out now — see http://stoltzfamily.us/2016/04/28/who-were-the-parents-of-james-dunham-jr-of-orland-maine ). Their third son Samuel is documented in “Maine Families in 1790” by the Maine Genealogical Society. This book references the Vital Records of Carmel for Samuel’s birth date of 1792, which are available for viewing at FamilySearch. The Carmel vital records were compiled after Samuel’s birth (some time after 1811); it is likely he was born in Vinalhaven before the family moved to Carmel. Samuel would be my 4th great uncle; his brother James my 3rd great-grandfather.